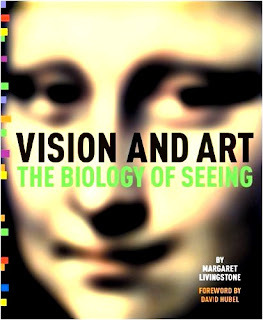 Margaret Livingstone is a neurobiologist at Harvard University and is the author of Vision and Art: The Biology of Seeing. Originally published in 2002 this book explains how human vision works and how the artists have pushed at the limits of our perception. I first read this book in September 2015 after learning of it via a recommendation from two great writers on colour theory James Guerney and David Briggs. I admit to not having any formal education in art, not even a GCSE, so I went into this book with a very limited knowledge of the subject and perhaps because of this my opinion is somewhat exaggerated. Maybe if I had taken classes beyond the age of 14 years I would not have been so impressed. But as it was I found each and every page in this book to be incredibly information and inspirational. There are concepts that I may take years to fully understand and incorporate into my feeble artistic efforts but even so I credit this book with advancing my ability far more than anything else. I would like to write about how this book helped me improve and the specific changes I made but I recommend you read this book and do so without any preconceived ideas of what to expect. You may reach different conclusions than I which would be a far more interesting result.